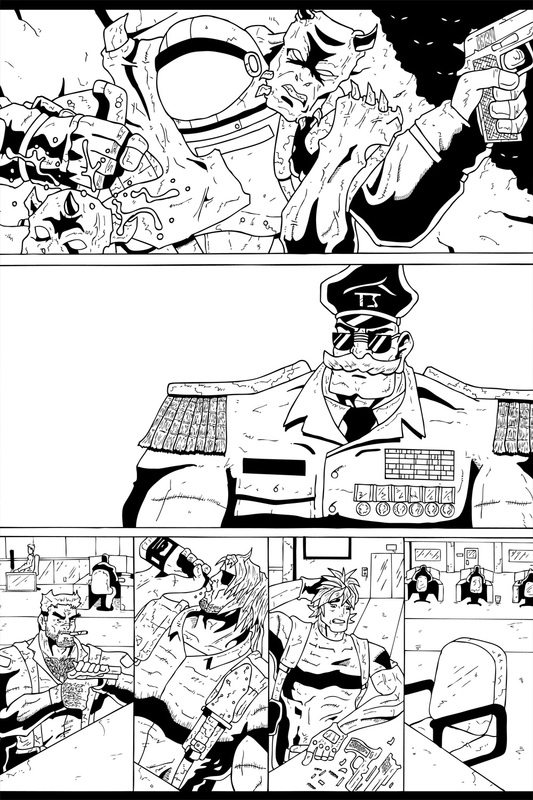 For today’s page you get to see some of the trickery that goes on when making Team Stryker. Sadly I did not draw Dallas McKnight fighting off the Space Commies twice but instead reused panel one for the background of panel 2. There are just some things that wouldn’t look as good if I tried to duplicate them twice, especially if it is the same shot. Sometimes I’ll draw everything if the same camera and background are used but the characters move but this was not one of those cases. I wanted to make sure that it was clear that the communication cut out right at that very second and the only way to do that was to reuse the exact same frame.